Banks offering online banking is one of the best that ever happened in our society. I often tell this on my blog posts how much I love how BPI created one of the first online banking system that lets cashless banking possible and for this week I will be focusing on Metrobank. I got my Metrobank ATM because my current job uses it for payroll. I really wanted to have a Metrobank ATM because I recently invested in FAMI and I knew one can pay investments via Metrobank Direct. To know more about how you can pay your FAMI account through Metrobank Direct click here. 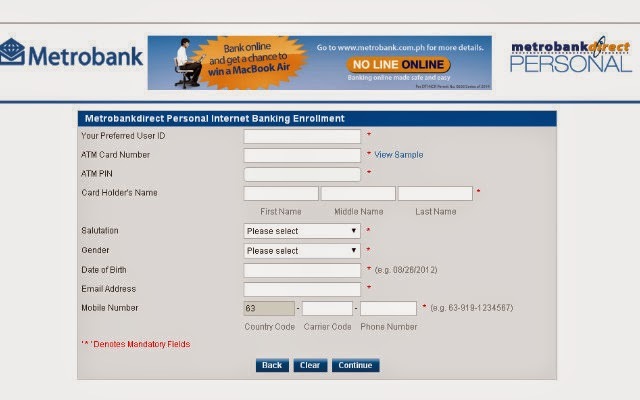 HOW TO ENROLL IN METROBANK DIRECT ONLINE BANKING? You have to have an existing Metrobank ATM, checking account, passbook, OFW and Pensioners account, Fun Savers Club, Metro checking account other products of Metrobank before you can apply for the Online Banking. 2. Once on the web portal, click in Enroll Now in the Mobile Direct ad space. 3. You will be redirected to a new web page. Fill in all the needed information. Click Continue. 4. 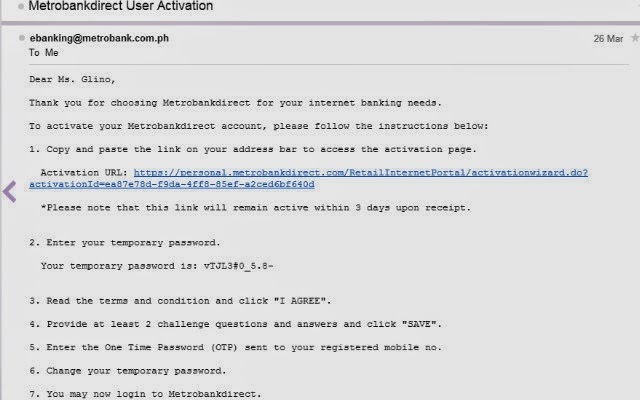 You will then receive an email activation from Metrobank. Read then instruction and follow carefully. 5. Congratulation! 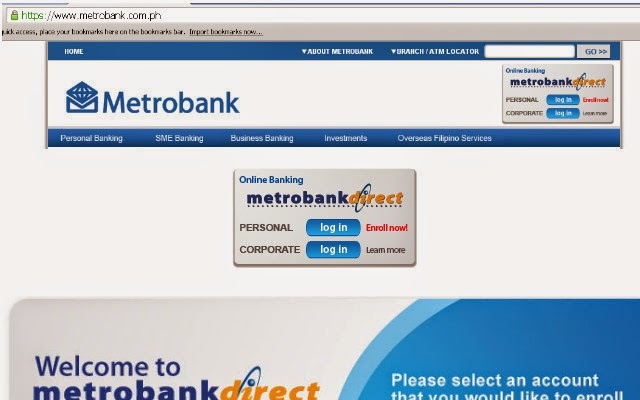 You can now enjoy the hassle-free experience of Metrobank Direct banking. Hope this blog post helps. Happy Banking!! !